Bonus Material: Includes the legendary canon “Kissing Booth” Bonus Story only to be found here. Bonus Material: Includes the bonus story of Brooke and Ace’s first “date” as well as Chapter 1-2 of the spin-off series of Magic Chicks. 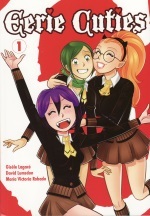 Bonus Material: Includes a bonus story as well as Chapter 3-10 of the spin-off series of Magic Chicks. 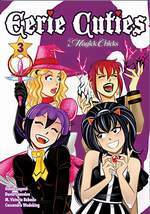 Bonus Material: Includes the “Eerie Kitties” bonus story as well as Chapter 11-15 of the spin-off series of Magic Chicks. Bonus Material: Includes the “Tiff on Patrol” print bonus story as well as Chapter 16-18 of the spin-off series of Magic Chicks.